Darryl Kirby is an orphan. He is also a whiz at computer games -- especially those conceived by Keith Masterly, the greatest software guru of all time. But when Darryl plays a new prototype of his favorite game, StarMaster, strange things begin to happen. After he finds his way through a tortuous maze and answers questions that could stump a scientist, a mysterious message -- "WANT TO PLAY?" -- invites him into a game in which the stakes are higher than they first appear -- a game that eventually lands him in a luxurious laboratory where Masterly has enlisted a brain trust of children for a secret purpose of his own. Befriended by Nina, who suspects Masterly's motives, Darryl slowly uncovers a sinister plan and finds himself the star in his own real-life computer game. But will he and Nina be able to stop Masterly and escape before it is too late? 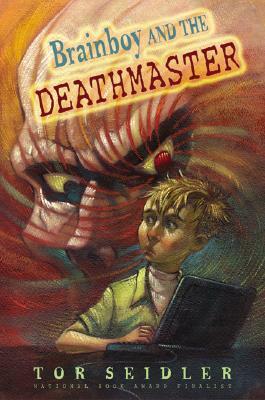 Brainboy and the Deathmaster is a fast-paced, high-tech mystery-adventure by National Book Award finalist Tor Seidler, author of the modern-day classic Mean Margaret.